No skincare routine is complete without a good Korean face mask! As an effective skin-booster, Korean face masks are jam-packed with nourishing ingredients such as Hyaluronic acid and Collagen. It’s vital to pick a face mask that targets your specific skin concerns for maximum effectiveness! Our list of the best Korean face masks in Singapore for every skin type will sort you right out! If you’ve normal skin or generally good complexion, lucky you! However, this doesn’t mean you should neglect your skin! Do your skin a favour by adopting a consistent Korean face mask routine with these best face masks in Singapore! You don’t need to stick to a 10-steps skincare routine to achieve flawless skin! With the Etude House 3 Minutes Care Masks (available on kocobox.sg), you can give your skin a much-needed boost in an instant! Etude House produces some of the best Korean face masks in Singapore and this 3 Minutes Care Mask is no exception. 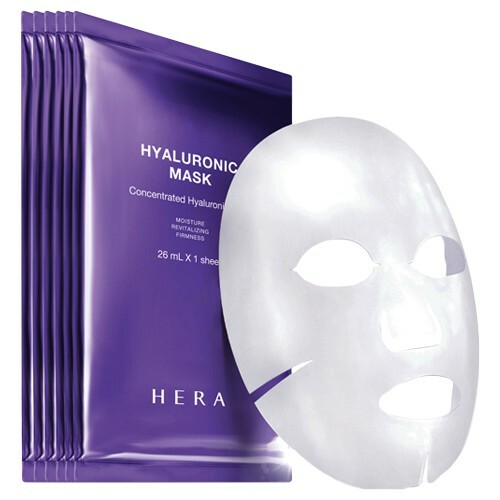 Made of soft cellulosic fabric, the face mask adheres seamlessly to the contours of your face for maximum absorption. 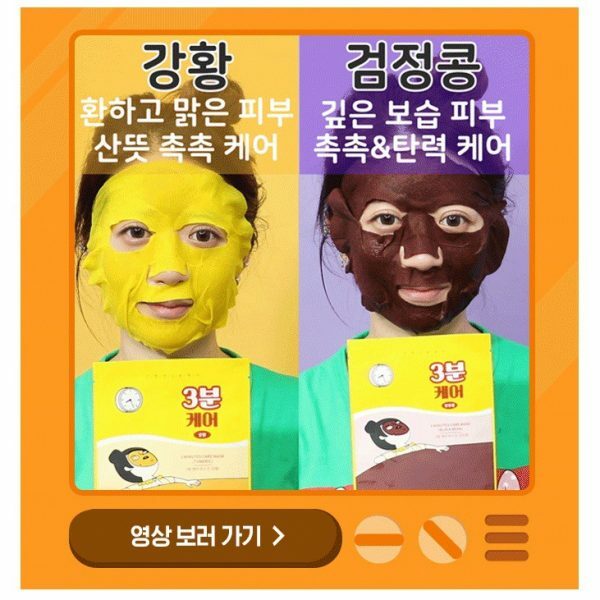 The Etude House 3 Minutes Care Masks come in two versions — turmeric and black bean! If you’re a huge fan of curry, you’ll fall in love with the turmeric Korean face mask. It boasts moisturising and brightening properties for a quick pick-me-up! Meanwhile, the black bean face mask is perfect for restoring hydration and elasticity to maintain everlasting radiance! The SNP Ice Bear Cica Mask (available on SNP_official) is one of the best Korean face masks in Singapore designed to combat our sweltering weather! 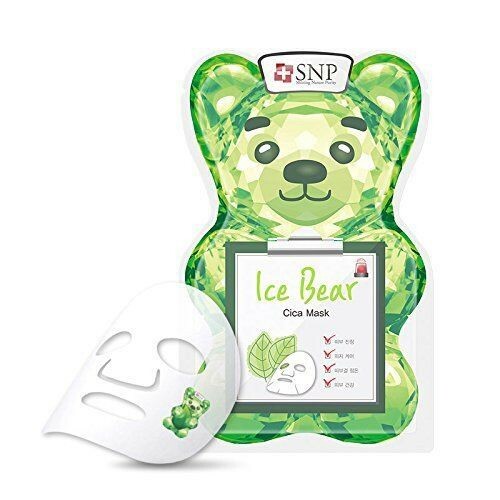 As its name suggests, the SNP Ice Bear Cica Mask has a wonderful cooling effect that will soothe and calm your skin after a long day in the sun. Formulated with revitalising ingredients such as Purslane and Centella Asiatica extracts, this mask is the perfect solution for weary skin that’s been exposed to environmental stress. Many may be put off by the assumption that Korean face masks tend to leave the skin feeling tacky and stuffy. That’s not the case with the SNP Ice Bear Cica Mask, which has a icy jelly-like texture to improve skin elasticity without leaving any sticky residue! Pent-up stress and the lack of proper skincare (don’t skip on sunscreens) may cause your skin to appear lacklustre, dull and flat. Additionally, the accumulation of dead skin cells may also result in a grey-ish complexion. Achieve glass-like radiant skin with the following Korean face masks! 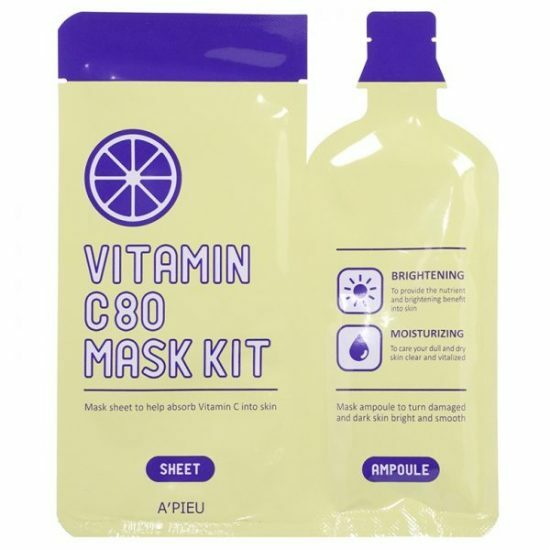 As a cosmetic brand known for its innovative products, APIEU has once again impressed the beauty community with its Vitamin C80 Mask Kit (available on webeautybox.sg). This is one of the best Korean face masks in Singapore for dull skin as it boasts a high concentration of Vitamin C, which is a powerful antioxidant that helps to build up your skin’s immunity and promotes brighter and firmer skin! 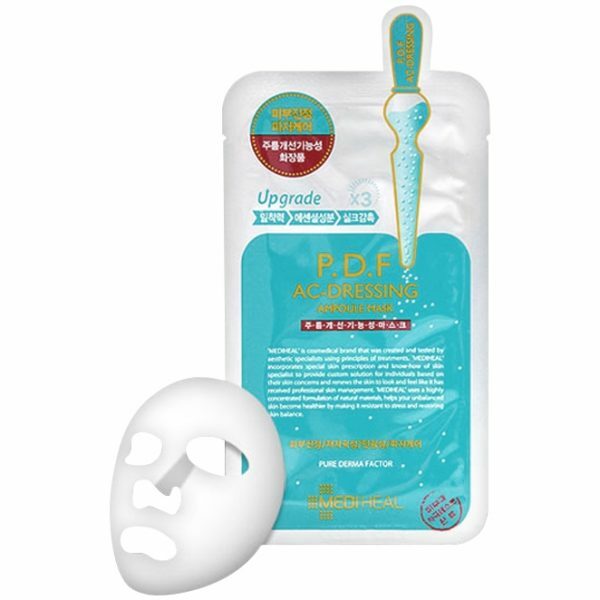 This Korean face mask features embedded vitamin powder patches which are activated when a separately packed ampoule is poured into the sheet mask! 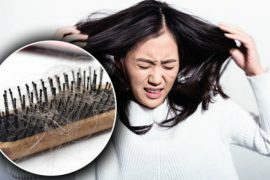 You may experience a tingling effect (it’s completely normal!) when using this mask due to the high concentration of Vitamin C. Leave this mask on for 20 minutes to reveal brighter and more radiant skin! The JAYJUN Intensive Shining Masks (available on NANA MALL) is a Korean face mask that’s formulated with some of the best skincare ingredients. It contains Niacinamide, Adenosine and Betaine which have brightening, plumping and hydrating effects respectively! 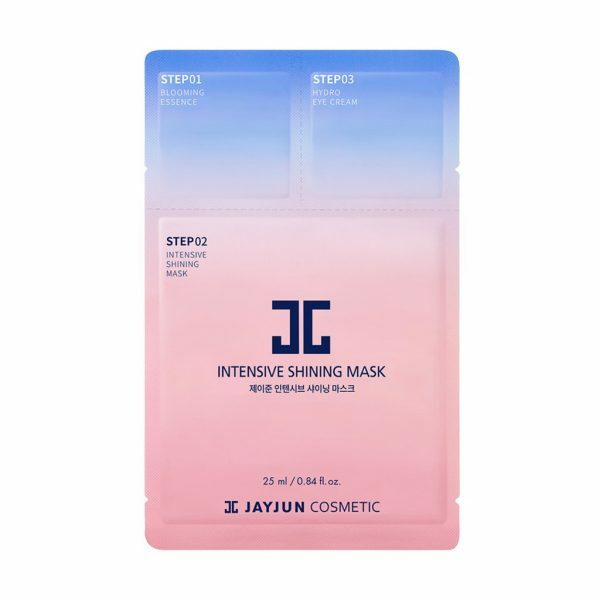 Despite it’s higher price point, the JAYJUN Intensive Shining Mask is value for money as it contains an essence, eye cream and the mask pack itself! After using your facial cleanser, apply the essence all over your skin and tap lightly for better absorption. Then, apply the mask sheet for 20 minutes before using the complimentary eye cream to give your under-eyes a much-needed hydration boost! You’ll be amazed at how well your makeup applies after this intense skin pampering! Whether you’ve naturally dry skin or developed it due to environmental factors, focus your skincare routine on hydration and moisturisation. Your dry skin may crack, peel and become inflamed if you do not take good care of it. Besides installing a humidifier in your room or on your work desk, you can also turn to Korean face masks for a quick and effective solution. Discover the best Korean face masks in Singapore for dry skin below! Dr.Jart+ is a trusted dermatological cosmetics brand with scientifically tested products that are safe even for hypersensitive skin! 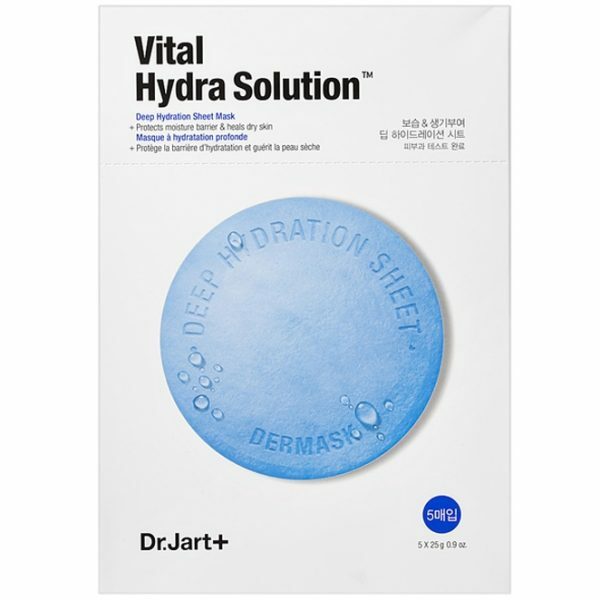 Indulge your dry skin in the ultimate hydration therapy with the Dr.Jart+ Vital Hydra Solution Mask (available on webeautybx_sg). It’s formulated with Hyaluronic acid for deep hydration. What’s more, the mask solution contains seaweed extract that not only helps to moisturise the skin but also eliminates impurities, leaving a healthier complexion! What makes this one of the best Korean face masks in Singapore for dry skin is the Dr.Jart+ Aquaxyl which is a patented moisturising ingredient created from the combination of plant glucose and Xylitol. Aquaxyl replenishes moisture and keeps it locked in your skin for a longer time. The result? Well- moisturised and supple skin that’s less likely to itch or peel! When it comes to the best Korean face masks in Singapore for dry skin, there’s no surprise that HERA sits high up on the list. This high-end cosmetics brand is renowned for its effective and superb quality skincare products that have been raved by top tier actresses and supermodels alike. HERA understands the impact Hyaluronic acid can have on dry skin, which is why it’s the main ingredient used to formulate the HERA Hyaluronic Filler Mask (available on Hush.sg)! Hyaluronic acid acts as a powerful moisture magnet, drawing moisture of over 1,000 times its own molecular weight deep into the skin. It aids in replenishing skin hydration levels and leaves the skin feeling plumper! For the best results, massage your face in an outwards motion using both the middle and ring finger while the mask is still on to achieve firmer, glowing skin! Pesky acne and unsightly blemishes can affect your overall appearance and take a toll on your self-confidence. Some of the causes of this skin issue include hormonal imbalances and stress. A general rule of thumb; do not pick or squeeze your blemishes as it may exacerbate the condition and cause scarring. While acne and blemishes may be some of the trickiest skin issues to tackle, there’s no need to fret! We’ve got some of the best Korean face masks in Singapore to help improve your complexion! When you have acne-prone skin, you need to be extra careful of the products you use on your face! Mediheal is a trusted cosmetics brand famous for its high-quality sheet masks. The brand has created some of the best Korean face masks and has sold more than 10 million sheet masks across the world! The Mediheal P.D.F. AC-Dressing Ampoule Mask (available on webeautybox.sg) is formulated with Salicylic acid, one of acne’s greatest enemy! Together with Centella Asiatica and Portulaca oleracea extract, this Korean face mask effectively controls sebum production and eliminates pore clogging to promote blemish-free skin! For the best effect, the brand recommends consistent use of the face mask, two to three times a week! Psst, if you’re a fan of LINE friends, don’t miss out on the adorable Mediheal LINE Friends P.D.F. AC-Dressing Ampoule Masks! 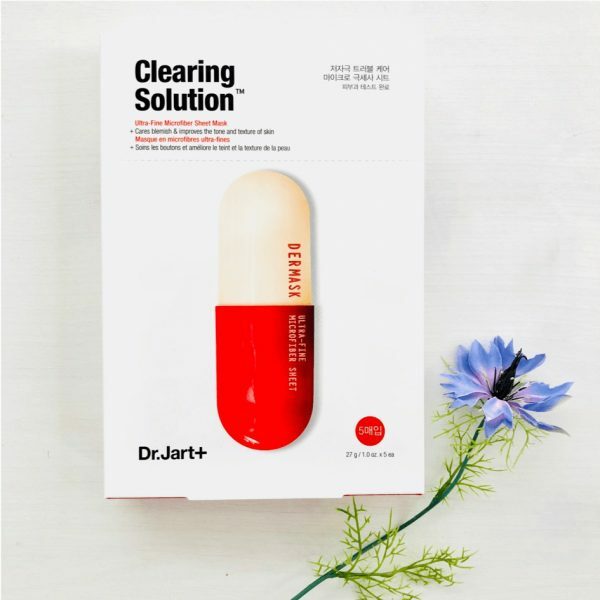 Tame those annoying breakouts and inflammation with one of the best Korean face masks in Singapore for acne-prone skin — Dr.Jart+ Clearing Solution (available on MyOverseaStore.com)! Formulated with Glutathione, this mask helps to even out skin tone and reduces redness. In addition, it consists of Salicylic acid that combats pimples and whiteheads as well as tea tree oil to control oil production! This mask also does not contain potential skin irritants such as artificial fragrances, alcohol and sulfate-based surfactants — a godsend for those with acne prone skin. For the best results, don’t forget to give your skin an extra boost of hydration with a good moisturiser after using the mask! As you age, you may start noticing the development of fine lines, age spots and skin dryness. Your skin also appears more sallow and saggy, making you look tired. The main culprit behind skin ageing is sunlight. Stay out of the sun as much as possible and apply your sunscreen religiously so as to avoid exacerbating your skin’s ageing process. Meanwhile, help your skin battle premature ageing with some of the best Korean face masks in Singapore! If you’re looking for a Korean face mask for ageing skin with visible results after use, end your search with CRITEM 3-Steps Ultra Lift V Mask (available on Critem)! Get the best bang for your buck with this Korean face mask. It consists of three steps — a crystal purifying one-stop gel cleanser followed by the ultra lift V mask and lastly, the advanced wrinkle care one-stop cream. Follow these three simple steps to achieve younger, firmer skin in less than 30 minutes! What makes CRITEM 3-Steps Ultra Lift V Masks so special is its design! 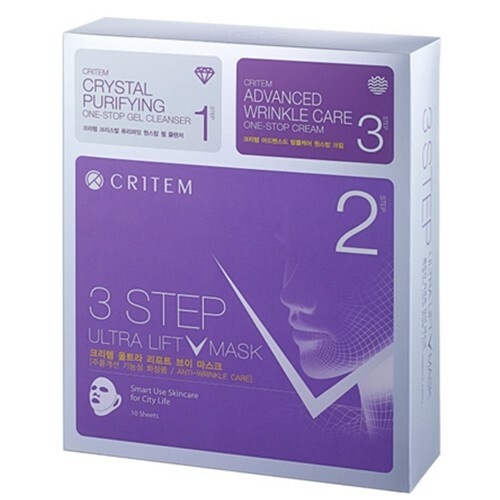 Unlike most regular Korean face masks, the CRITEM 3-Steps Ultra Lift V Mask includes an extension that helps firm up your face shape to create a slimmer jawline! Together with Adenosine, an anti-ageing ingredient that’s effective at diminishing wrinkles, this face mask is all you need to regain a healthy and youthful appearance! Innisfree produces some of the best Korean face masks in Singapore, and the Double Fit Lifting Mask (available on MyBeautySupply) series is no exception! Every mask in the series consists of Adenosine, an essential ingredient for wrinkle care. Combined with Collagen and Peptide, these three ingredients form a time-reset skin formula that rejuvenates and moisturises the skin! The Double Fit Lifting Mask series comes in different variations. Choose from Propolis extract for pore care, Niacinamide for skin brightening, Beta-glucan for skin nourishment and Ceramide for intense moisture. As its name suggests, the Double Fit Lifting Mask is a dual lifting facial mask that consists of two sheets. The microfiber upper sheet adheres perfectly to the skin to facilitate fast absorption of the essence, while the lower sheet is a hydrogel-based mask that can be hooked onto the ears to provide a lifting and tightening effect for the jawline! 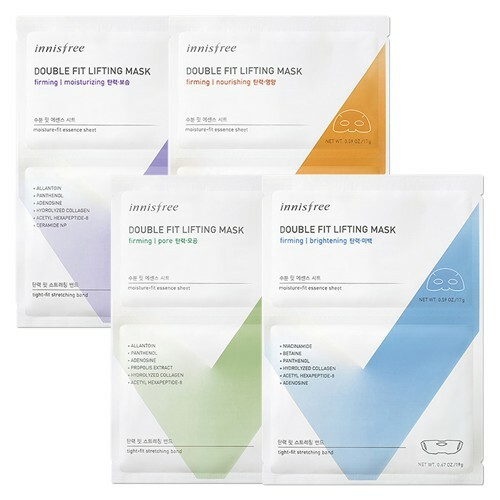 Use the Innisfree Double Fit Lifting Masks weekly to achieve natural V-line face shape and timeless radiance! 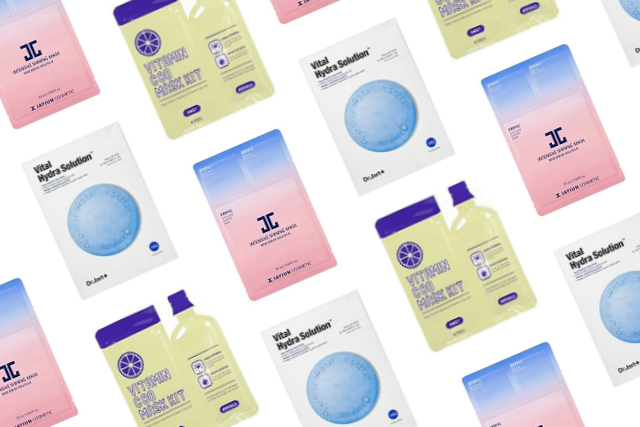 We hope this list helps you find your holy grail Korean face masks! Besides using mask sheets, complete your skincare routine and achieve flawless skin with our recommended list of Korean skincare products! If your skin issues persist, consider switching your facial cleanser and makeup remover to one that suits your skin type! 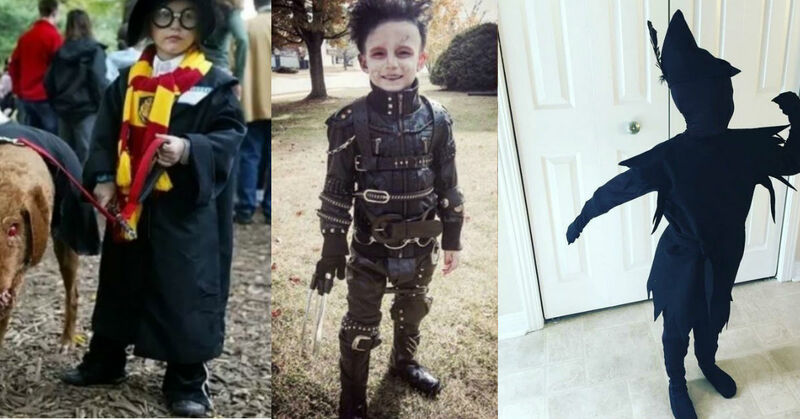 International Women’s Day Lookbook: Dress Like These Girl Bosses! 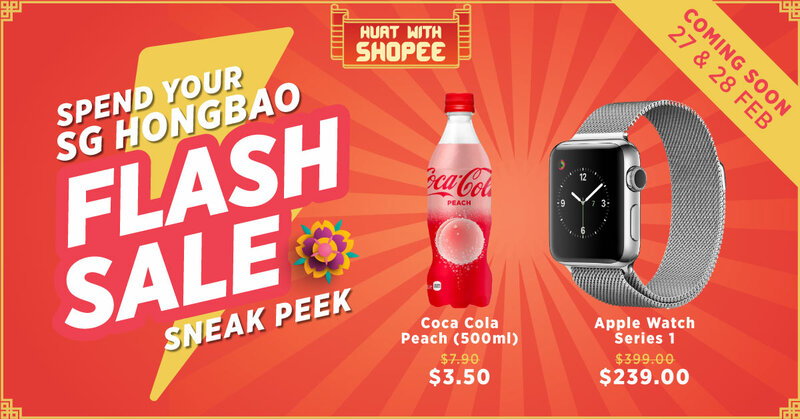 Don’t Say Bojio: Up to 76% OFF Laneige Layering Cover Cushion, Apple Watch, Coca Cola Peach and more!